It's the conclusion of a three game weekend road trip for the Bulldogs (2-6-0-0, T-3rd Island) this afternoon, as they visit the Eagles (2-6-0-0, 5th Mainland) at the South Surrey Arena for a 4:00pm puck drop. The Bulldogs were in Penticton last night, where a great effort still saw them fall short as they dropped their sixth straight, 2-0 to the Vees. The Eagles were last in action Friday night at home, where they picked up a 3-2 shoot out win over the Prince George Spruce Kings. Earlier in the week they fell 8-0 to the Express in Coquitlam on Wednesday night. It's a unique ice surface here in Surrey, as it's an International sized ice sheet which makes it much different than the other sheets in the league as it's 15 feet wider than regulation size at 200 x 100. There's obviously much more room to create offensively, but on the other side of that there's more room to defend in your own end. The key - at least how it was explained to me by a former Bulldog Coach, is to not chase outside the faceoff dots, as while the ice sheet is larger, it's still the same distance dot to dot. I'll once again have the call for you on Pacific Chevrolet Bulldogs Hockey, on 93.3 The Peak FM, with the pregame show commencing the proceedings at 3:45 followed by the 4:00pm puck drop. Today's 2nd Intermission guest is Lars Hepso (2010-2013)- our first (of what will hopefully be many) interviews with Bulldog Alumni throughout the season. 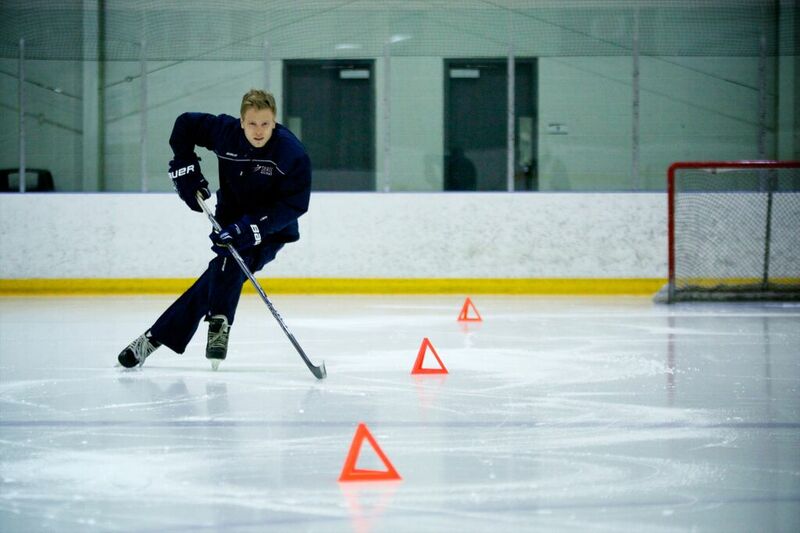 Lars is a fantastic story - he's the President and Founder of Skate with Power, and this summer was named Skating Coach for the NHL's Arizona Coyotes. After a late start due to all the Home Opener ceremonies, the Vees got off to an early jump on the Bulldogs, having a couple solid chances due to misplayed pucks by the Bulldogs in the first couple of minutes of the game. John Hawthorne would be razor sharp, coming up with a couple solid saves in tight around his net to keep it tied. The Bulldogs would push back and get in the game, but were then on the defensive side of the puck on back to back instances when the Vees drew back to back power play opportunities. On the second chance, the Vees created a cross-ice one-timer set up off the back post, that appeared to hit the crossbar and stay out. The Referee at the net would immediately stop play however, and signal that it was a goal. Upon either further review from the other three Officials, or from the replay officials in the building, it was clear that the puck hit the crossbar and didn't in fact go in so the call was reversed. The Bulldogs got better at the period went on, but couldn't generate any Grade A chances to beat Jack LaFontaine. Shots in the first were 12-4 Vees. The second period saw either team have their chances early, with Aaron Bohlinger driving the net forcing LaFontaine to make a good first save and a rebound stop at well. The Vees would counter and win an extended battle in the Dogs zone before working the puck to the slot where Hawthorne made a fantastic save on a one-timer from the slot, and a subsequent rebound stop as well. He couldn't stop a third chance though, as Andre Ghantous found the loose puck and banged it home to make it 1-0 Vees at 4:02 of the second. The Bulldogs generated a couple good looks to the midway point of the period, but they couldn't get a bounce around LaFontaine to tie the game. Each team had their chances throughout the remainder of the period, with a plethora of penalties late somewhat slowing the flow. During a delayed penalty in the dying seconds of the period, John Hawthorne came up with a huge save on and in-alone chance for Brendan Harrogate on a pass across the slot that saw him down and out, but able to get a glove up in desperation to keep it a 1-0 Vees lead after two periods. Shots were 8-aside in the second, for a 20-12 Vees advantage. The penalties carried over to start the third, with the Bulldogs killing off a short 4 on 3 advantage for the Vees, and a follow up 5 on 4 power play. They were again penalized later in the period, but did a solid job in support of Hawthorne to not give up much. The Bulldogs had a fantastic chance to tie it at the midway point of the period, with an Aaron Bohlinger pass out of the corner finding Ryan Miotto in front, but Jack LaFontaine got his left pad on it. The period was played at a high pace through the final minutes, with the Bulldogs pushing but being unable to get a bounce to beat LaFontaine. The Vees would jump on a faceoff win in their end to create a turnover by the Bulldog defence to race in on a 2 on 0 rush with under four minutes to play. John Hawthorne would stare down Andre Ghantous, before coming up with a huge save on a cross-ice one time set up for Drew Elser that he got a blocker arm on to keep the Bulldogs in the game. It would be all for naught unfortunately, as less than a minute later the Bulldogs turned the puck over across their blue line, allowing David Silye to speed onto it up the right wing where he beat Hawthorne with a quick release high short-side to make it 2-0, unassisted with 2:29 to play. 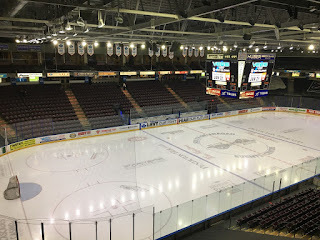 The Bulldogs pushed hard to the final buzzer, pulling their goalie with two minutes to play and generating a series of scrambles around the Vees net but they couldn't get to any available rebounds to make a game of it before time expired. Third period shots were 15-11 Vees, for a game total in their favour of 35-23 with John Hawthorne earning 3rd star honours while taking the loss, with Jack LaFontaine earning the win with 1st star honours and the shut out. The Bulldogs went 0 for 3 on the power play, while the Vees went 0 for 6. The Bulldogs conclude their road trip tomorrow afternoon in Surrey, a 4:00pm start. It's a fourth straight Interior Conference opponent tonight for the Bulldogs (2-5-0-0, T-3rd Island) as they travel to Penticton to face the Vees (3-3-0-0, T-6th Interior) at the South Okanagan Events Centre for a 6:00pm puck drop. 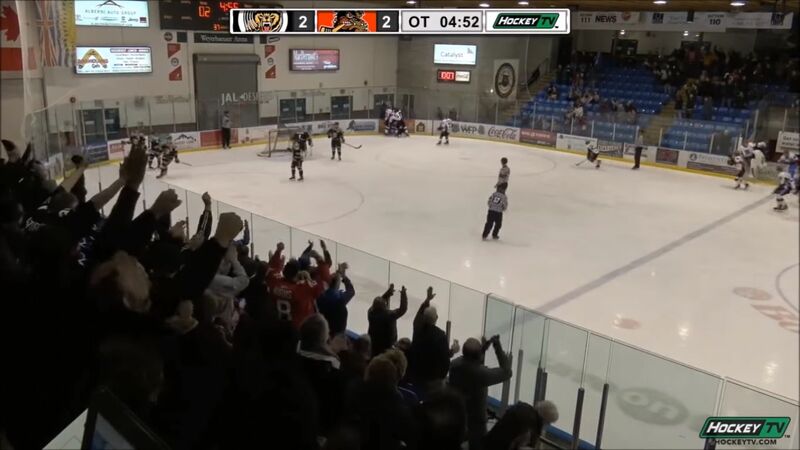 The Bulldogs were in Trail last night, where they lost their fifth in a row, 7-3 to the Smoke Eaters. The Vees meanwhile were in Merritt last night, where they picked up a 6-3 win over the Centennials. There's no doubt going to be lots of emotions on both sides in this one. The Bulldogs have a couple of former Vees in Ryan Miotto and Henri Schreifels facing their old team after a Tuesday trade. 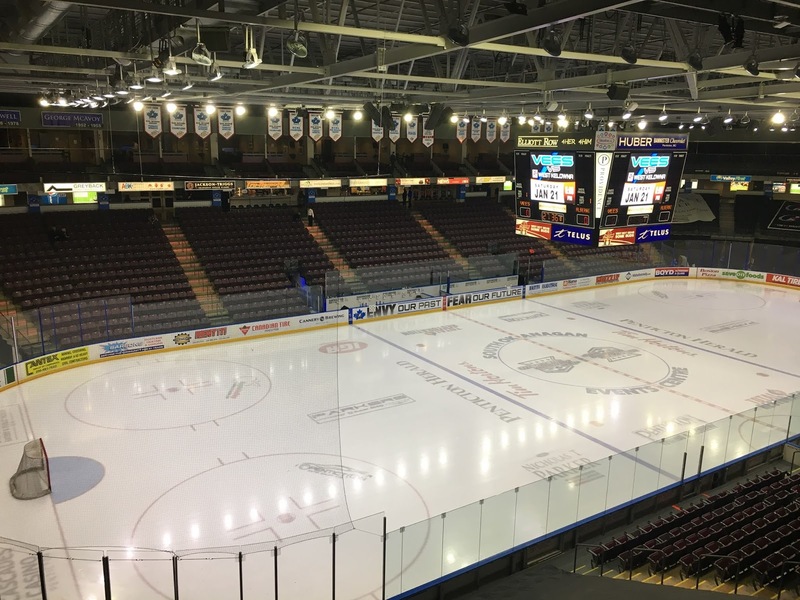 The Vees meanwhile will make their home ice debut after playing six straight games on the road to start the season, so they'll surely be excited to play in front of their own fans for the first time. Once again note the game time of 6:00pm, which means our pregame show on Pacific Chevrolet Bulldogs Hockey on 93.3 The Peak FM takes to the air at 5:45pm. Tonight's 2nd Intermission guest is Steve Erickson, the play-by-play voice of the Surrey Eagles, who the Bulldogs face tomorrow at 4:00pm to conclude their road swing. After a very slow and somewhat sloppy start to the game, with back to back whistles in the first 15 seconds, the Bulldogs opened the scoring just 1:31 in when Grayson Valente played the puck down the left wing in the Smoke Eaters zone. The puck took an odd hop off the end boards and bounced back to the slot where it was found by Ryan Miotto. He put a quick pass to the left circle for Jackson Doucet, who beat Adam Marcoux with a lightning quick release five-hole to make it 1-0, with assists going to Keaton Mastrodonato and Ryan Miotto. The Bulldogs would have two fantastic chances in the following minutes on 2 on 1 rushes and in alone chances for both Nicholas Seitz and Isaac Tonkin-Palmer, but Marcoux came up with two huge saves to keep it a one-goal game. The Bulldogs would kill off a penalty short of the midway point of the first, with John Hawthorne being busy, but solid to protect the lead. Immediately after the media time out, the Smoke Eaters tied the game when Carter Jones won a draw in the Dogs zone back to Tyler Ghiradosi who rolled of the top of the circle un-checked before snapping a shot through traffic past the blocker of Hawthorne to make it 1-1 at 10:33 of the first. The Bulldogs earned their first power play of the game late in the period, and looked good on it initially with Marcoux coming up with two good saves. A cross-crease rebound on an open net would bounce over a Bulldog stick, and Smoke Eaters countered on the rush. A backchecker would lose an edge, resulting in a chance in front that saw Hawthorne come up with a ridiculous desperation save diving back to the goal line to get an arm on what looked like a sure goal. He couldn't recover in time, or get any help on the follow up rebound unfortunately, as Mack Byers out fought two Bulldogs to find the loose puck and lift it home inside the post short-side to make it 2-1, while shorthanded. Braeden Tuck drew the lone assist at 17:40 of the first, shorthanded. Shots in the first were 16-7 Smoke Eaters. The second period started with the Smoke Eaters having a long initial shift in the Bulldogs zone. A minute later on a delayed penalty scenario, Hawthorne came up with a big save on a breakaway chance for Kent Johnson. 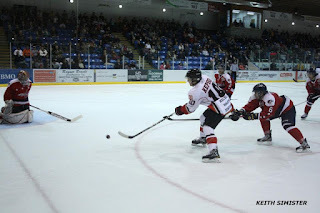 The Smoke Eaters would catch the Bulldogs attempting to change on an early clear of the zone, as Trevor Zins put a perfect pass onto the tape of Braeden Tuck. He skated in alone and faked backhand before tucking it inside the post on his forehand to make it 3-1 at 3:28 on the power play. The Bulldogs didn't appear to be deflated by the goal against, as they continued to push over the next five minutes. They weren't able to trim the deficit though, before the Smokies went up 4-1 on a bad bounce on a long-range shot from Jeremy Smith from the right point, that appeared to hit a pant leg in front to deflect past Hawthorne. Assists on the play went to Sean Donaldson and Mack Byers at 10:19 of the second. The Bulldogs generated a chance on the following shift, resulting in an attacking zone faceoff. They would win the draw, but a Smokie winger beat his man off the draw to get to the puck before it reached the defender at the line, resulting in an odd-man rush. The rush initially looked off-side at the Bulldog line, but was waved off. John Hawthorne would make another rediculous highlight reel save on a one-timer from the slot, and a follow up rebound attempt. Once again, he couldn't get help on the second rebound as Kent Johnson banged it home to make it 5-1 at 11:03 of the second, with Braeden Tuck and Levi Glasman assisting. The Bulldogs again to their credit didn't quit, as they generated two great chances later in the period, with Adam Marcoux coming up with big stops on Stephen Castagna and Jackson Doucet to protect the lead. Shots in the period were 11-10 Trail, for a 27-17 advantage after two periods. The Bulldogs came out flat to start the third, and fell into a deeper hole before it was a minute old. Cole Demers made a great save with his right toe on a Levi Glasman chance in front, but the rebound was found and one-timed home by Kent Johnson to make it 6-1, with an additional assist going to Jeremy Smith. Once again the Bulldogs didn't deflate, and were rewarded for it four minutes later on the power play as Grayson Valente made a good play to keep the puck in at the left point before throwing a hard D-to-D pass to Spencer Hora at the right point. He would throw a hard shot at the net that missed short-side, but the end board bounce came out off the back post where Nicholas Seitz one-timed it home before Marcoux could recover to make it 6-2 at 5:14 of the third, on the power play. The Bulldogs kept pushing, and made it a 6-3 game just over a minute later when Aaron Bohlinger put the puck into the bottom of the right circle for Mitchel Deelstra. He did a good job to protect the puck and separate himself from his man before putting a pass to the top of the crease for Isaac Tonkin-Palmer, who one-timed it from the top of the crease high over Marcoux to make it 6-3 at 6:39 of the third. That's as close as the Bulldogs would come, with the Smoke Eaters completing the scoring in the back half of the third on a 2 on 1 rush after a Bulldog defender fell at the attacking line. Braeden Tuck would accept a Levi Glasman pass in alone and make no mistake with a top-corner short-side finish over a Cole Demers pad stack attempt to make it 7-3 at 13:34 of the third. While the Bulldogs continued to generate offence through the remainder of regulation, they couldn't trim the deficit. Third period shots were 16-14 Bulldogs, for a game total of 41-33 Trail, with John Hawthorne taking the loss before being relieved by Cole Demers while Adam Marcoux earned the win. The Bulldogs went 1 for 5 on the power play, while the Smoke Eaters also went 1 for 5 while scoring once while shorthanded. With the loss, the Bulldogs have now dropped five straight games. They are next in action tomorrow night in Penticton, a 6:00pm start. It's the start of a three game game road trip tonight for the Bulldogs (2-4-0-0, T-3rd Island) as they visit the Trail Smoke Eaters (3-2-1-0, 4th Interior) at the Cominco Memorial Arena. I'll have the call on 93.3 The Peak FM's Bulldogs Hockey, brought to you by Pacific Chevrolet. The broadcast begins with our pregame show at 6:45, with the puck drop and play-by-play to follow at 7:00pm. Tonight's 2nd Intermission guest is Craig Beauchemin, the play-by-play voice of the Penticton Vees, who the Bulldogs visit tomorrow night for a 6:00pm puck drop. Big news today from the Bulldogs, as they added Forwards Ryan Miotto and Henri Schreifels from the Penticton Vees. Read the full Press Release below. Welcome to the team and the community Ryan and Henri! in return for 1998-born forward Andre Ghantous. Canisius College in the fall of 2019.
that he can step right in and be a big part of our team." Hockey League with the Omaha Lancers but was released last last week. pieces who can contribute immediately," says Hughes. The Bulldogs got off to a fantastic start, running up a 9-1 lead in shots by the midway mark of the period. They had several near misses around the Salmon Arm net, as Keaton Mastrodonato hit the post from the paint, and a minute later a crazy scramble somehow still failed to find the net. A few minutes later Nicholas Seitz hit the post down the left wing, with a follow up scramble failing to find the net. The Silverbacks would then open the scoring, as Akito Hirose cut across the top of the right circle in the slot where he threw a quick shot inside the near post past Cole Demers to make it 1-0 at 12:53 of the first with assists going to Hudson Schandor and Andy Stevens. The Silverbacks had a couple solid opportunities over the following minutes, with Demers making two good saves on Stevens in tight with four minutes to play in the period. The Bulldogs pushed back, but again couldn't get a bounce as it stayed 1-0 after 20 minutes, with the shots favouring the Bulldogs 14-7. The Bulldogs were penalized at the buzzer to end the first, resulting in a penalty kill to open the second that they succeed in not giving up much on. The Silverbacks continued to push the pace over the following 5-6 minutes, peppering Cole Demers who made a series of saves to keep it a one-goal game. The Bulldogs couldn't respond and push back before the Silverbacks went up 2-0, as Tyson Gayfer won a draw cleanly in the Bulldogs zone back to the right point for Andy Stevens, who scored with a perfectly placed wrist shot top corner, short-side high over the glove of Demers at 5:17 of the second. The Bulldogs bent but didn't break after that, earning a power play that they failed to score on but at the same time they generated a couple good chances. The Bulldogs were penalized shortly afterwards, but they didn't just kill the penalty - they scored their first shorthanded goal of the year to get back into the game. A shot that missed the net and came out to centre was misplayed by a Silverback defender, who was being pressured by Austin Spiridakis. He would have enough speed to race in alone where he made no mistake with a perfect backhand high over the glove of Chapman to make it 2-1 at 15:51 of the second, for his first career goal. The Bulldogs would earn a power play a minute later but couldn't generate much on it as it was a momentum killer. Shots in the period were 17-7 Silverbacks. The third period began with the Bulldogs ending up in the penalty box just three minutes into it. The Bulldogs would successfully again kill it off, before earning a power play of their own two minutes later. The Bulldogs were unable to threaten for the most part, and a huge turning point just seconds later would put them into a two-goal hole as a pass from behind the goal line to the top of the paint was one-timed home through Demers by Jonathan Krahn, with assists going to Noah Wakeford and Andy Stevens at 9:32 of the third. Just 22 seconds later the scoring was completed as another turnover down low and poor coverage resulted in another wide open chance that was converted as Logan Shaw put a wrister past the glove of Demers to make it 4-1 with 9:54 gone in the third, with assists to Yewta Plamondon and Johnathan Krahn for the final score. Third period shots were 7-6 Bulldogs, for a game total of 30-28 Silverbacks. Cole Demers took the loss in net, while Devin Chapman earned the win. The Bulldogs went 0 for 4 on the power play, while also scoring once while shorthanded. The Silverbacks went 0 for 3. The Bulldogs are next in action Friday in Trail as they face the Smoke Eaters to kick off a three-in-three roadtrip through the Interior and Mainland. It's into the big rink today for the Bulldogs (2-3-0-0, T-2nd Island) as they take on the Salmon Arm Silverbacks (2-2-0-0. 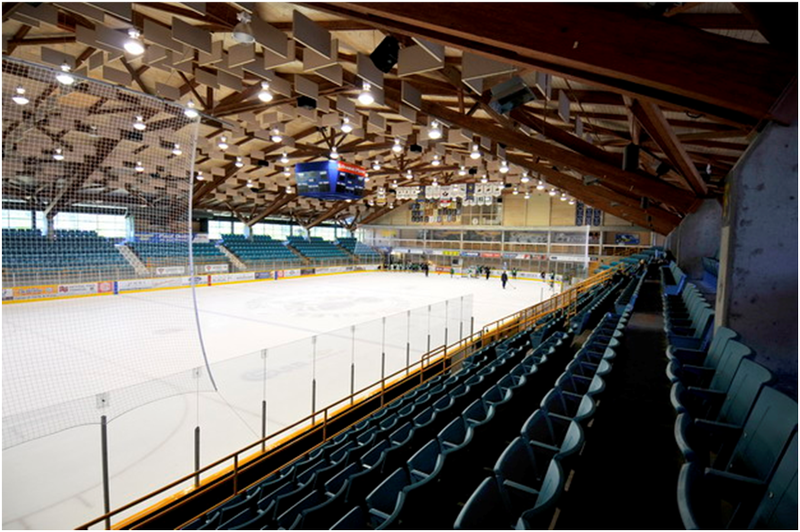 T-6th Interior) to conclude their two-game appearance at the BCHL Showcase. The Bulldogs opened up their Showcase schedule yesterday in the secondary/community rink at the Prospera Centre, where they lost their third in a row 5-1 to the Wenatchee Wild. The Silverbacks were also in action yesterday afternoon on the small side, as they snapped a two game losing streak with a 6-3 win over the Victoria Grizzlies. 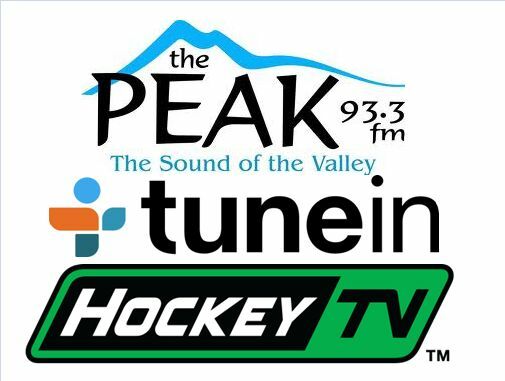 Don't miss a moment of the action on Pacific Chevrolet Bulldogs Hockey on 93.3 The Peak FM - once again note the start time, as the pregame show is on the air at 12:45, with the game action to follow at 1:00. 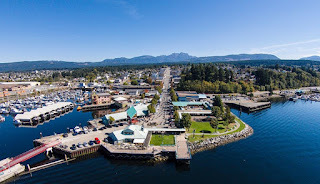 Today's 2nd Intermission Feature Guest is BCHL Commissioner Chris Hebb, talking about all things BCHL and Showcase related. 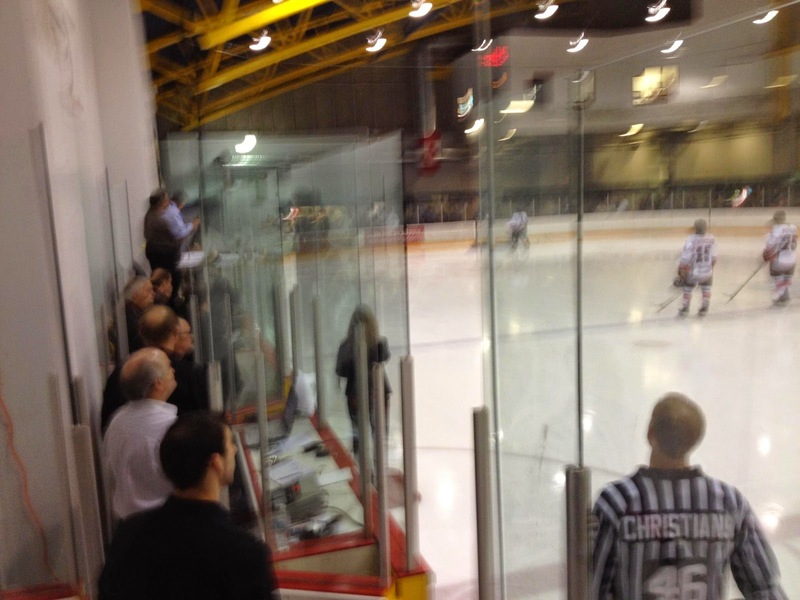 The start to the game was spirited.....for a few fleeting seconds as a pane of glass was dislodged on the opening shift of the game, resulting in a delay. It was thankfully a pretty short one, as the rink staff quickly repaired it as the game resumed. The first five or so minutes were end-to-end, with neither team generating much in the way of offence, or making any mistakes to allow opportunities. The Wild would capitalize on the first one of the game, as a puck behind the Bulldog net was stolen and quickly ended up out front where Matt Gosiewski made no mistake on with a quick release low through the legs of John Hawthone to make it 1-0 6:48 in, with assists going to Murphy Stratton and Lucas Sowder. The Bulldogs ended up in the penalty box soon after, and the Wild pressed for an insurance marker but Hawthorne came up with a couple good saves on the doorstep off a re-direct and rebound opportunity for Lucas Sowder. The Bulldogs killed off the remainder of the penalty, and later in the frame earned an opportunity of their own. They would come painfully close to tying the score, and getting their first power play goal of the season, as a Marcus Walter blast hit the post behind Austin Park, but stayed out. The Bulldogs earned another power play later in the period, but failed to generate much after the first 30 seconds as they were a little sloppy with the puck, and the while were relentless on the forecheck to further frustrate the Bulldogs. Shots in the first were 10-8 Wild. The second period saw the Bulldogs earn an early power play opportunity, in somewhat interesting circumstances as a delayed penalty against the Wild ended up in a whistle with the Bulldogs earning a too-many-men penalty attempting to get the goalie out for the extra attacker. The initial minor was a four-minute spearing penalty against Wenatchee, resulting in the Bulldogs staying on the power play. They would snap their scoreless streak at over 80 minutes, and their season-long power play drought as Marcus Walter took a Tyler Vanuden pass in the deep slo where he blew a slapper top corner, far-side over the glove of Austin Park to tie it at 1-1. Keaton Mastrodonato also drew an assist at 5:14 of the second. The Bulldogs put the momentum to the goal to good use, spending the next few minutes on a couple of shifts hemming the Wild in their zone, but they couldn't generate the go-ahead goal. The Wild would quickly counter, taking advantage of a turnover that ended up out front for Matt Gosiewski who put a perfect backdoor pass onto the tape of Murphy Stratton who tapped it into the open side. Lucas Sowder also drew an assist on the play at 9:34 of the second. The Bulldogs went to the power play two minutes later, but couldn't cash in on it. The Wild earned a power play chance with five minutes to play in the frame, but the Bulldogs killed it off, with Hawthorne coming up with a couple solid stops in tight and a highlight reel save on a cross-ice one-time set up on a 2 on 1 rush off of Lucas Sowder. The Bulldogs drew a penalty with under two to play in the period on a nice net drive by Mitchel Deelstra, but again couldn't make it count to find the equalizer before the buzzer. Shots in the period were 13-7 Wild, for a 23-15 Wenatchee advantage after 40 minutes. The Bulldogs began the third with a half-minute of power play time, but the Wild killed it off. They would take a 3-1 lead on the rush before the period was four minutes old, just seconds after a dangerous Bulldog opportunity around the Wild net as Murphy Stratton put a puck at the net on a 2 on 1 that was stopped by Hawthorne. The Wild would beat the Bulldogs back to their net though, as Matt Gosiewski lifted the rebound home to make it 3-1 at 3:38 of the third, with assists to Lucas Sowder and Brandon Koch. Just four minutes later it was 4-1, as Christophe Fillion got a stick on a Brandon Koch point shot to make it change direction drastically to sneak under the arm of Hawthorne. Ryan Wilson also drew a helper on the play at 7:34 of the third. The Bulldogs didn't go away, which was certainly nice to see, but they couldn't trim the deficit before the Wild rubbed some salt in the wound with five minutes to play as the last-man-back at neutral ice was poke-checked resulting in a partial breakaway. An aggressive back-check unfortunately resulted in the shot going off a defender's stick and through Hawthorne to complete the scoring, with Christophe Fillion scoring it, with Nathan Iannone drawing the only assist at 15:00 of the third. Third period shots were 13-8 Wild, for a game total of 36-23 Wild with John Hawthorne taking the loss while Austin Park earned the win. The Bulldogs went 1 for 5 on the power play while the Wild went 0 for 3. The Bulldogs are next in action at 1:00pm tomorrow, as they conclude their Showcase appearance by taking on the Salmon Arm Silverbacks. 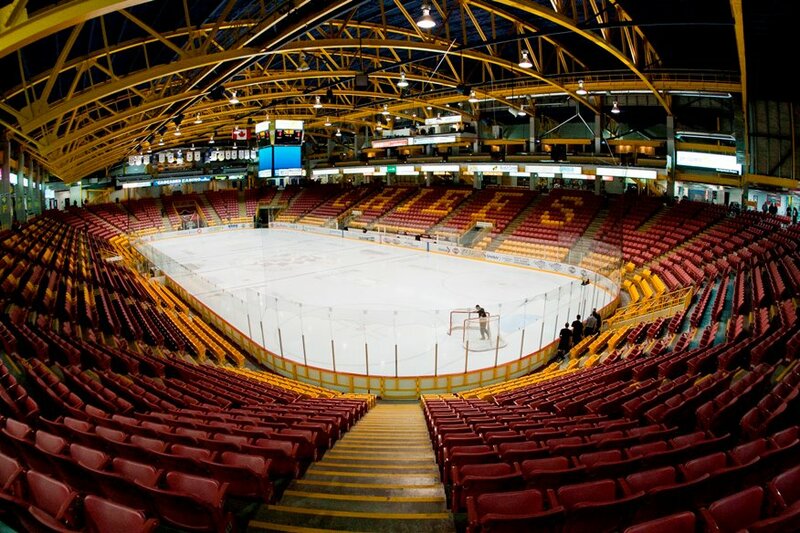 It's a big test today for the Bulldogs (2-2-0-0, T-2nd Island) as they take on the defending Fred Page Cup Champion Wenatchee Wild (3-1-0-0, T-2nd Interior) to open up their appearance at the BCHL Showcase in Chilliwack. The Bulldogs were last in action Saturday night at home, where they dropped their second straight, 4-0 to the Cowichan Valley Capitals. The Wild were also last in action Saturday night, when they picked up a 4-2 win over the Warriors in West Kelowna. While it seems way too early for me to wax poetical about "peaks and valleys" , at the same time it feels appropriate after what the team has done through four games. Two road wins on opening weekend, where they looked great and found a way to win. Followed by two home losses, where they didn't look especially good (that may be putting it kindly) and they didn't look even in the game. That might be putting it too harshly, but it's hard to argue back to back losses on home ice by a four goal spread. If either contest was a one or two goal affair, with a couple of bounces either way being the defining moments it's one thing. These games certainly didn't end up that way. So, back to the peaks and valleys - they'll happen throughout the season. Don't get too high after a win, don't get too low after a loss. Stay the course and prepare to be at your best every night because in this league if you don't - as a team, come to play, it's not going to be a fun night. Or afternoon, in this instance. 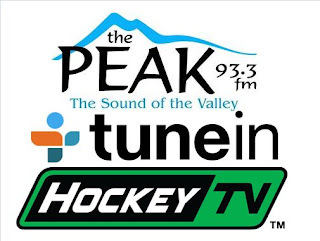 Pacific Chevrolet Bulldogs Hockey on 93.3 The Peak FM is on the air starting at 1:15 for the pregame show, with the puck drop and play-by-play to follow at 1:30. Today's 2nd Intermission guest is Ryan Lepper, the play-by-play voice of the Salmon Salmon Arm Silverbacks, who the Bulldogs take on at 1:00pm tomorrow. Please Note: There will be NO Hockey TV broadcast of this game, or any game throughout the duration of the BCHL Showcase that takes place in the secondary rink. Tomorrow the Bulldogs will take on the Silverbacks in the main rink, so you'll be able to watch as well as listen. The below picture is from a couple of years ago, but it's how I make the broadcast happen when we're sitting at ice level instead of up top. A little dangerous, with no danger pay, but hey I'm dedicated right! Ha! The Bulldogs came out an inspired bunch, with an obvious burr under their saddle. The game had great pace, with no whistles through the first 2:26 from the opening faceoff. While their wasn't much in the way of offensive opportunities either way, the pace was high and fun to watch. The Bulldogs earned the first power play of the game past the midway mark of the first, but didn't look good on it as the Capitals had the best scoring chance when Olivier Gauthier stole the puck in the Dogs zone for a shorthanded breakaway that was stopped by Cole Demers. The Bulldogs earned another power play shortly afterwards, and while they looked better on it, they couldn't cash in. The Capitals found the net on a poor change by the Bulldogs when they had the puck in their zone but got out-manned as Jordan Robert put a good pass to the front of the net for Ryan Moon who cut in front and lifted a backhand high under the cross bar over Demers to make it 1-0 at 17:50 of the first. The Bulldogs responded with a solid shift after the goal, but Jack Grant made a good save on a scramble on the door step to keep it 1-0 after 20 minutes. Shots were 12-5 Bulldogs. The Bulldogs were penalized in the early moments of the second period, on a boarding call stemming from a footrace on a pending icing. They would kill it off, with Cole Demers coming up with a couple solid saves. The Bulldogs were again penalized soon afterwards on a retaliation at centre ice. They would again kill it off. The Bulldogs tried to push back through the period to get back on the attack, and drew a power play chance at the midway point of the period. For the most part, they again didn't look good on it and certainly didn't earn any momentum. The Bulldogs found themselves in a 2-0 hole a couple minutes later after a sloppy turnover in their zone as Caleb Franklin stole the puck below the goal line and put a perfect pass to the front of the net for Dan MacIntyre, who one-tied it up and over Demers at 13:20 of the second. The Bulldogs again responded well to the goal against, and had a fantastic chance to get on the board on an attacking shift in the Capitals zone but Jack Grant made a fantastic highlight reel save on Jackson Doucet in the slot on a Michael Sacco set up. In the late minutes of the period the Bulldogs went to the penalty box on a big hit by Spencer Hora that was ruled to be interference. The Caps made quick work of the power play, with a perfect set up down low for Preston Brodziak that he slid across the crease for Dimitri Mikrogiannakis who made no mistake one-timing it into the open side. Olivier Gauthier drew the second assist at 18:20 of the second for a 3-0 Capitals lead after 40 minutes. Shots in the period were 13-10 Capitals for a 40 minute total of 22-18 Bulldogs. The Bulldogs pushed early in the third, again drawing a penalty but again failing to capitalize on it, or gain any momentum from threatening on it. The Capitals didn't give up much through the midway point of the period, with the Dogs unable to generate any sustained attack. One final exclamation point from the Capitals came with just under five minutes to play as a dump in was misplayed by a Bulldog defender resulting in a bounce to the slot that was put on net with a great first save made by Cole Demers, but the second rebound ending up finding the back of the net to make it 4-0. Ryan Moon got credit for it for his second of the game, with assists going to Lucas Vanroboys and Kolton Cousins at 15:10 of the third to complete the scoring. Third period shots were 7-5 Bulldogs, for a game total of 29-23 Bulldogs with Cole Demers taking the loss while Jack Grant earned 1st star honours with the win and the shut out. The Bulldogs went 0 for 5 on the power play while the Capitals went 1 for 4. With the loss, the Bulldogs have lost two in a row. They are next in action Friday at 1:30 at the BCHL Showcase when they take on the Wenatchee Wild. Bulldogs host Capitals tonight, 34th Annual Port Alberni Toy Run today! It's right back at it on home ice tonight for the Bulldogs (2-1-0-0, T-1st Island) as they host the Cowichan Valley Capitals 0-2-0-1, 5th Island) at the Multiplex. The Bulldogs were in action last night at home, where they lost their first game of the season, 5-1 to the Victoria Grizzlies. The Capitals were also on home ice last night, dropping their third in a row to open the campaign, 4-2 to the Penticton Vees. These teams met last Friday night in Duncan in the season opener for both teams, a 3-2 shoot out win for the Bulldogs. Catch all the action Live on 93.3 The Peak FM's Bulldogs Hockey brought to you by Van Isle Ford. Our pregame show commences at 6:45, with the puck dropping shortly after 7:00pm. I'll provide the play-by-play with Bruce MacDonald taking care of the colour commentary and analysis. 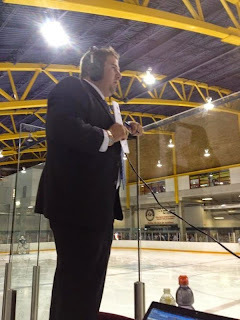 Tonight's 2nd Intermission Feature Guest is Arch Ecker, the play-by-play voice of the defending BCHL Fred Page Cup Champion Wenatchee Wild, who the Bulldogs face Friday at the BCHL Showcase in Chilliwack. Don't forget that the 34th Annual Port Alberni Toy Run thunders into town today shortly after 12 noon! 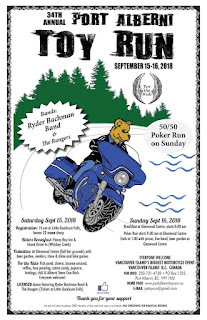 The Bikes will leave Little Qualicum Falls at noon sharp and usually roll into town around 12:20-12:30ish. If you have somewhere you need to be in town around that time, get there early as you're likely to be delayed. A little delay, is a very small price to pay in my opinion, for everything the Toy Run does for Kids and the community all year long.